Writer's Helper offers these writing tips so your book will be the highest quality possible. Your words reach people's hearts and minds. Your writing is more powerful than the sword. It inspires, educates, entertains. If the writing is weak, readers say, "So what?" If the writing has errors, readers are confused or distracted. Compelling, clear, error-free writing is what people expect when they buy a book. Give them what they expect. Readers will recommend your book to their friends, give it as a gift, and wait expectantly for your next publication. Reader by reader you will change your world. What an awesome responsibility! What a wonderful privilege! Each of us works at writing on two levels:a creative, unconscious level and a critical, conscious level. The unconscious produces creative and powerful words and images. It makes surprising and original connections. It shuts down if the critical "editor" part of your mind goes to work too soon.If your High School English teacher's voice runs through your mind as you write, if you worry about spelling, grammar, or how to sell your book while you write, you are writing with a dull pencil. Brainstorm words or images about your topic. Don't stop to evaluate their worth. Keep writing down ideas. When you can't think of another word, wait a while. Often the most powerful idea will surface after you have cleared all the less valuable ideas out of the way. Write a page or two with your eyes shut. It doesn't matter if you can't read what you've written. You are giving your mind permission to make "mistakes" and just get on with it. Write with music in the background. Experiment to find the style that you like. I prefer baroque or classical music. One of my writing teachers needed country and western. Give yourself permission to be emotional. If your writing begins to move you, experience the full emotion. Before your writing changes others it will change you. Edit your work only when you have drawn deeply from the well of your unconscious. Spelling counts. So does good grammar. They support vibrant writing. They do not createvibrant writing. There are a great many correctly written lifeless sentences. The best writing comes to life, and then is refined just enough to make it crystal clear. Given the chance, what do you talk about endlessly? What drives you to seek out information? What are your passions? When you write what you know, you write with authority. People listen to you because you are one who knows. You are interesting because you are interested. Your knowledge is a gift to share. Deepen the well. No matter what you know about the subject, there is always more to learn. Make sure you have the latest information available on your subject. If there are differences of opinion in the area you are writing about, acknowledge the other side. Your statements will come across more strongly if the reader knows you have addressed the arguments others would raise. Once you write something, at least some of your readers are going to believe you. You owe them accuracy. Or, "This is my family history. I know this story like no one else." That's true, but others have a perspective not like yours. Memories, even yours, can be faulty. My story is a fantasy." Even when you invent a universe, you invent it to be understood by earthlings. If you are going to have impossible things happening, you need to offer some explanation that will make sense. For some writers, having a structure in place first makes the writing easier. These writers prefer to think things out ahead of time and then build to a plan. Other writers put down all their ideas in a glorious profusion of words. Papers may be spread all over the house, the car, the office desk, in fishing tackle boxes.... These writers like to see all the material and then build the structure. Both approaches work well depending on the personality of the writer. Both kinds of writers need to end up with a structure that supports the reader's understanding. There is no one right structure for a book any more than there is one right structure for a house. Some will be linear, and take the reader step by step directly through to a conclusion like a long hallway opening into an inner courtyard. Others will feature a spiraling staircase that takes the reader around and around the topic, always climbing higher to the secret chamber at the top, or to the rooftop view where everything becomes clear. The fair thing to do is to use a reasonable route to the destination. It's unfair to take your reader up the staircase to the fourth floor and then to push him out a window so he can enjoy the inner courtyard. The verbs are the action words. They put things in motion. Make yours as strong as possible. The verb to be (am, is, are, was, were) puddles on the floor. Eliminate it wherever possible. I spent a year in Ukraine and experienced Russian, where the verb to be exists, but almost never appears. People simply leave it out and I found the effect powerful. In English we can't leave verbs out of our sentences, but we can make those we use work hard for us. Nouns name the people, places, and things in our world. English has multiple words for almost everything. A male parent can be father, dad, pop, daddy, the old man, pater, progenitor, sire, begetter, conceiver, governor, abba, papa, pa, pap, pappy, pops, daddums, patriarch, paterfamilias, stepfather, foster father, and other family nicknames. Choose the noun that does the best work for you. Short words are usually best. They have more punch. They hit the gut hard. The paragraph above has only one word with more than one syllable. If your verbs and nouns are strong, you can get rid of many adverbs or adjectives. Don't know what they are? They are the "describing words" your elementary school teachers told you to use to make your writing "more interesting." The tall, tanned boy ran quickly to the store. The teacher gives you a check mark. The reader goes to sleep. The surfer raced to the store. Be particularly wary of words ending with -ly. Yes, there is a time to turn on the proofreader. A book is like housework. No one notices when it is done well, but they see your mistakes clearly. The guest who comes for tea concentrates on conversation and a developing friendship--unless the windows are streaky or a cobweb hangs in the corner. She is polite so she says nothing, but her attention is divided. Those pesky flaws in your book will make some readers turn away in disgust. Mistakes distract even the most sympathetic reader. The reader does not necessarily even know the rule you've broken, but he feels uneasy. Your ideas come through more clearly when they are supported by details. Sensory detailsbring a scene clearly to mind. Most of us rely on sight, so visual details are most common in writing. But use other senses, too. Psychologists tell us the most evocative sense is smell. Give specific names for things. The pine is better than the tree. Writers often fall in love with their own words and phrases. Cutting them can feel like killing a person. It only feels like that. Cutting words from writing is like pruning in the garden. When we get rid of the dead, diseased, and ugly, we are left with a stronger, more beautiful, fruitful plant. Be ruthless with your writing. Chop out every unnecessary word. How do you know what can go? Read what you've written leaving out parts you question. If the piece still makes sense, leave out the excess. Compressed writing packs a punch. Technically, active voice puts the active agent first, followed by the verb (the action), followed by the object of the action. Passive voice reverses the order. Active - The boy hit the ball. Passive - The ball was hit by the boy. Active voice is stronger and moves the action along. Passive voice sounds like someone is trying to hide something or to avoid responsibility. We find passive voice in many government documents. Hm-m-m. Do you aspire to write like the government? Doing the same thing in the same way creates a pattern that helps a reader follow along. On this page I've used a parallel structure for the tips. Each one is written as a command. I used the imperative mood (the command) because these tips are vital parts of writing. 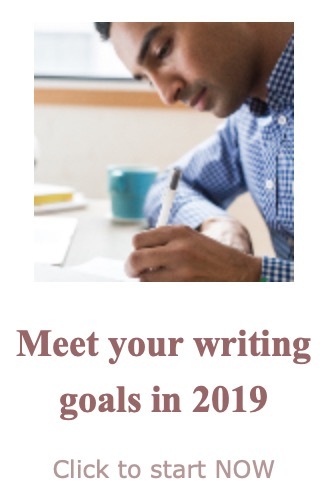 I used it ineach case because that creates a pattern your brain picked up by the time you reached Writing Tip #3.
advance the general quality of written English in the world. If it's a sermon your reader wants, there are churches to oblige. What does it look like, sound like, feel like, taste like, smell like? When you describe a person or event, your reader is there with you. When you tell, the reader relaxes to the point of mental slumber. Telling: John was sad after Susan broke up with him. Showing: John shut his cell phone and leaned against the wall. He heaved a sigh and dropped his head into his hands. "What's with John? Oh, I get it, he feels Susan let him down." In nonfiction, details show, generalities or opinions tell. Telling: Children are out of shape these days. Reader: "I don't think that's true. My neighbor's kid plays Little League." Showing: Forty percent of 5 to 8-year olds are obese. "Wow! Children are out of shape these days!" Not everyone cracks jokes all day long. But a light touch from time to time lowers a reader's guard and opens her to your ideas. Be careful that your humor is kind and tasteful, unless of course you are writing for seven-year-olds, when bodily function humor is high on the list. In English we expect the most important item to be at the end. When you write a list, put the most important, unusual, or powerful item last. The final sentence in a paragraph ties up your ideas in a neat package or hints at what is to come. Your most powerful paragraph comes at the end of the chapter. Poets labour over their final word. Let yours linger in the mind. A good title is catchy and says, "Read me." Depending on your topic, you may want to steer clear of a "cute" or "witty" title in favor of one that makes a clear promise of what is inside. Writers often discover a title as they write. Sometimes a phrase or reference in the book comes to stand for the whole work. Take your time to find a good title. You want one that calls to a reader, insisting on a purchase. Many people compose directly onto a computer. That's what I'm doing as I write this. Even if your printing company wants an electronic file, and most do, print yourself a hard copy. It is easier to read and to find your mistakes on paper. Worried about the trees? So am I. I print my work on the backs of pages as often as possible. I use flyers, form letters, fax cover sheets, any piece of paper with a blank side. I've discovered even loose leaf paper will go through my printer. Read all the words out loud in the order in which you've written them. This is the single best self-editing technique. You will find awkward places or unclear references as soon as the words are out of your mouth. Some writers stop immediately to fix the problem. Others mark their paper and keep reading, going back later to fix things. Either way, read every word out loud. After you've fixed the problems, read it aloud again. Keep doing this until you can't find any more problems. Professional writers edit their own work, share it with trusted friends, and then submit it to a publishing house. There another editor is selected to read the work closely, looking for areas that need improvement or a special polish. In fact, more than one editor will check every book. Professional editors know these 18 writing tips and many more. Furthermore, they recognize strengths and weaknesses in writing. As a self publishing author you are in the precarious position of making the final decision about when to go to print. If you go too soon, your book will not be all it could be. No one wants to have an inferior product attached to his or her name. Once a book is printed it's there forever. You are a writer and you are close to your own work; that closeness can blind you to its flaws. Trusted friends can encourage you and those with good English skills can find mistakes. If the friendship is robust and the friend fearless, you can get good feedback from a friend. If you can find a writing group where people critique each other's work, I strongly recommend attending. You will learn from other writers as you watch their work evolve. You will have help with your own writing. Most groups are free or have a nominal charge for renting space. Ask at the library or bookstore or put an ad in the paper. If you can't find a group, start your own. You may choose to hire someone for some or all of the editing your book needs. You can hire an editor at any stage of your writing. There are as many ways for an editor and writer to work together as there are editors and writers. and personality enter into the relationship. 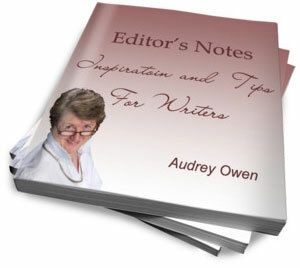 What you look for in an editor depends on your personality and your personal development as a writer. I am a writer as well as an editor. I am confident in my abilities so I care much more about the ruthlessness than the kindness. I get cuddles from my cat. Not everyone feels the same way. Contact an editor to get a feel for how you might work together. This is a personal relationship that works best when based on trust. Your writing will be strongest if at some point you separate yourself from your writing. The editor wants to make it better. If that is your goal, too, you will be a great team. I would be honored if you considered me a potential editor for your book. I offer an edit of a brief sample, a guaranteed quote on the job we agree you want, a passion for sparkling prose,and experience editing and being edited. I'd love to do this over tea, but since this is cyber space, meet me here. Although every serious writer will work with an editor in the end stages of a published project, you can improve your chances of reaching that end stage and save money when you hire a freelancer editor if you do a good job of editing your own work. Finally, you can follow a plan for editing your own work. These general writing tips are only part of the information this site offers on the craft of writing.Click here to see other specific tips. Lend a hand to other writers and add your own best writing tip. Just fill in the easy form below. After I review your tip, it will become a page on this Web site. On other pages of this site, you can read many of my best writing tips. But this page is for you! What is the best writing tip you can offer the writing community? Your tip can be about a grammar or spelling rule, the writing process, or how to get published. Anything you think another writer will appreciate belongs here. Your tip will appear on a Web page exactly the way you enter it here. You can wrap a word in square brackets to make it appear bold. For example [my writing tip] would show as my writing tip on the Web page containing your tip. If you can't focus on writing, get a partner. Be yourself. Don't write what someone else wants you to write. Write you want to. Do what you feel is right and NEVER give up. Good luck. What to do for Writers' Block. Google Images for the win! I always turn to Google Images and look at the pictures available. It really helps me describe an object. Have smashing, cliff-hanger chapter and book endings. No matter how hard you want to, never quit. Keep writing until the end. Don't give up! Characters should be interesting before they are real. I get it! It's pretty! Unlock your mind and throw away the key,there are no rules, no limits.Let your thoughts run free like a fugitive. Always listen to the little voice that offers new ideas and images. It comes in handy. "I'm sorry what'd you say..."
Written. Edited. Published, all at 15! Write the way YOU want to write. Young People Can Write Too! Creating Realistic Characters - Just Add Passion! Give your character a name the reader will admire. Hey,..I'm a Person....Not a Thing! Remember...You're Only Talking to Me! Crush That Pesty Writer's Block! Write 1.When your mind is settled. 2.When cool and relaxed. 3.when there is less distractions. 4.When at your peak. When Sizzling your Nizzle, you must first determine whether you are writing from the Nizzle or Sizzle's point of view. Tip: Do not EVER fear what you write. If you want your story to be somewhat realistic then you should make sure your characters have doubts, faults, and do not look perfect. Write from your heart, if you don't like it stop writing! Try ranting about something in your writing. To me, there are few things better than capping off a perfectly executed rant. Treat a book like a secret room. Let no-one read it until completion. If you get lots of compliments then you can get sloppy with the rest. Your writing should be about a subject that you personally enjoy, otherwise it will get boring quickly. Always think about what you are going to write. You need to keep your readers involved. If a reader is getting bored of the same topic over and over again s/he might stop reading! You see it and then you write it.